The fact that colours influence health is known and accepted as a form of natural medecine. Even traditional medicine has always given great importance to how colours influence our mood. According to the principles of chromotherapy, colours interact with our psyche and body influencing our emotional state and psychophysical balance. The use of colours therefore is essential when furnishing and decorating the spaces we live in. It is not a coincidence that designers and architects devote more time in studying the chromatic identity of urban spaces, buildings and workplaces. The perception and way of living in a space can change depending on the colour variation chosen for the walls. Inevitably, this close relationship with states of mind brings colour immediately to describe the personality of who chose it and become an instrument of communication and self expression, just like in fashion and cosmetics. 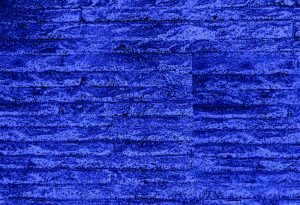 The expression of this new trend is Biopietra’s Prestige Collection: different types of eco-friendly stone available in different shades of colour that come alive through light and its absence. Here below the “Luminance” finishes available and their beneficial effects. PURPLE It calms nervous and fear problems, refreshing and relaxing, transmits security and optimism. Recommended for children’s bedrooms, bathrooms and wellness areas. 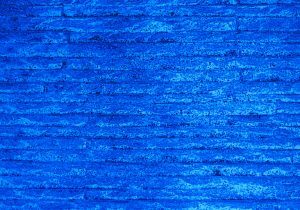 BLUE It fights physical and mental agitation thanks to its calming and relaxing properties. Recommended for bedrooms, living areas and wellness areas. GREEN It contrasts insomnia and helps to relax. It is recommended for bedrooms and bathrooms. Biopietra Prestige Collection wall coverings are a healthy and safe solution that create harmony and well-being inside our home. The Bio-compatible materials converse with the light in an ever changing game: the light brings the materials to life, they reflect it and generate brilliant reflexes in any condition of brightness, even in the dark. Discover Biopietra Prestige Collection, such as Antares, Sirio and Electra. 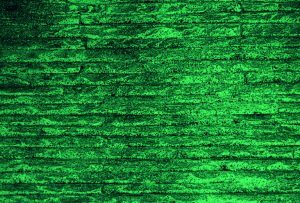 While fully respecting the principle of biocompatibility, photoluminescence is obtained through pigments of materials that are inert, completely non-toxic and devoid of radioactivity and which, loaded with artificial or natural light, retain the properties of light for hours afterwards. 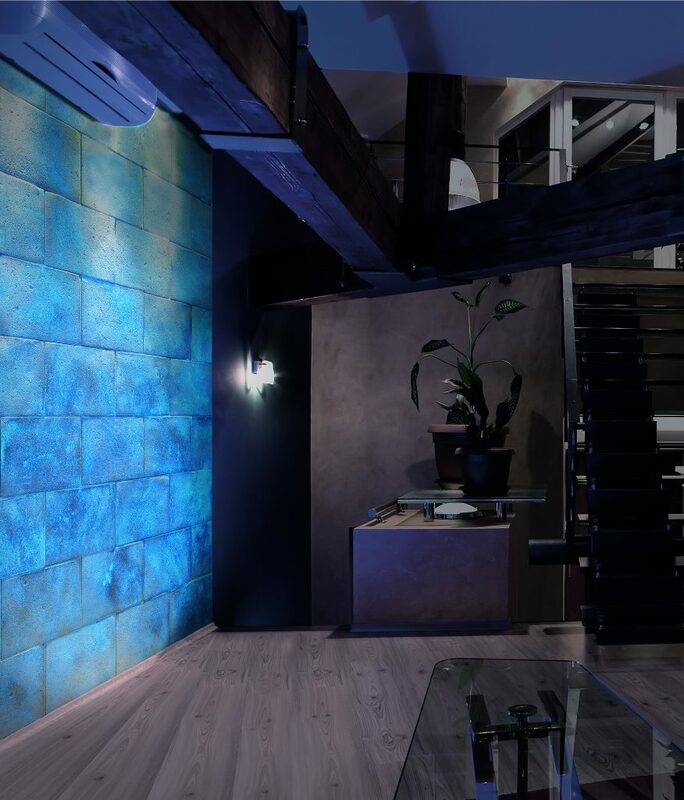 A wall covered as for example with golden stacked stone or little white blocks – that perfectly match with wood, glass or even metal, will turn into a harmonic system of lights and colours, with the purpose of emotionalize. The environments will appear always new, evolving, as many as the glances casted on them and the emotional personalities that will read them. Biopietra Luminance: light that regenerates body and mind.